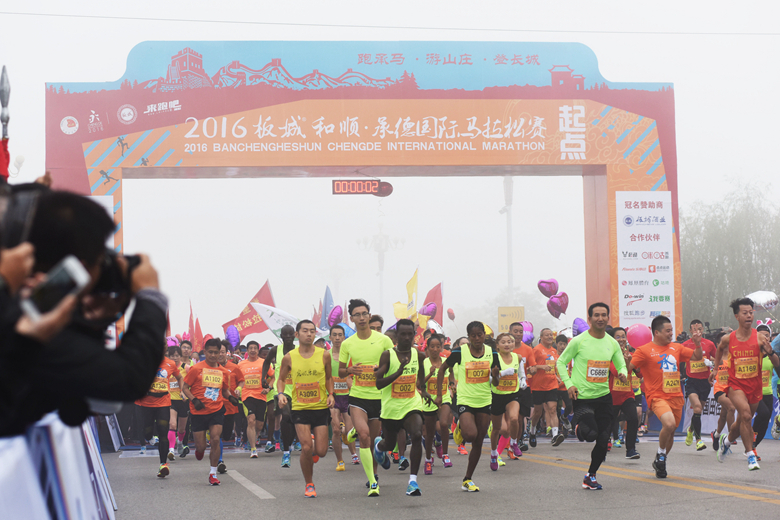 Participants start running as the race gets underway at 8 a.m.
Over 10,000 runners from eight countries took part in the 2016 Chengde Marathon on October 15. 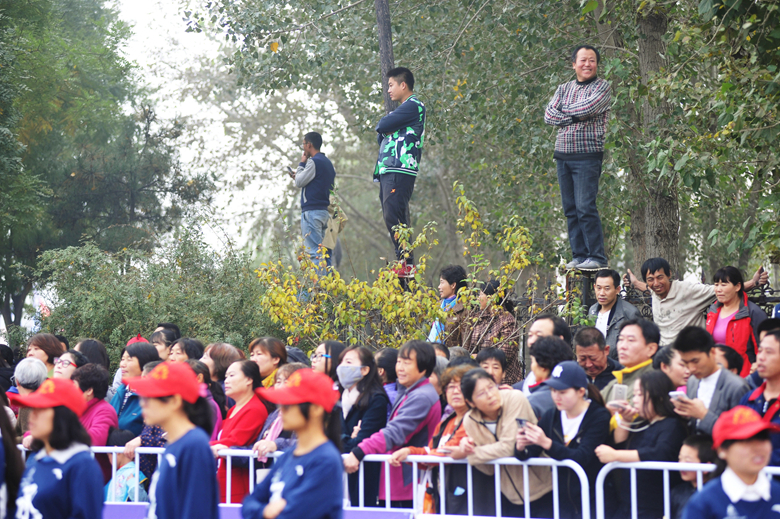 The event, held in the city of Chengde, north China's Hebei Province, consisted of full, half and mini marathons. 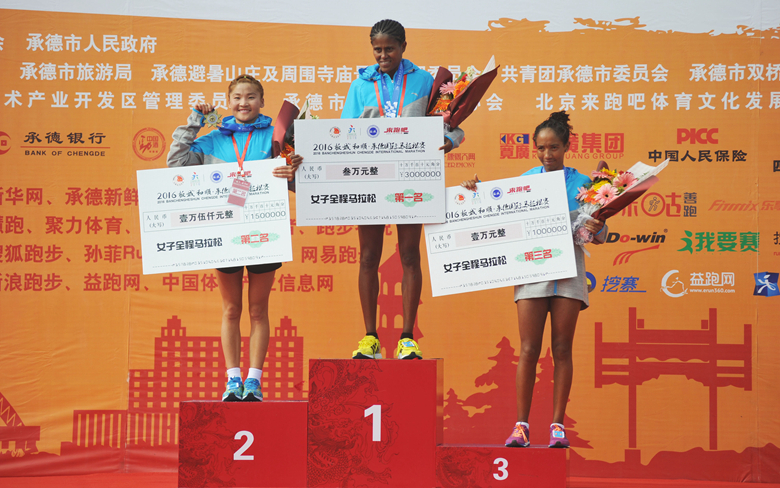 Ethiopian athletes Tigu Sefe Wendemu and Adimasu Amelework Gessesse won the men's and women's full marathons, respectively. 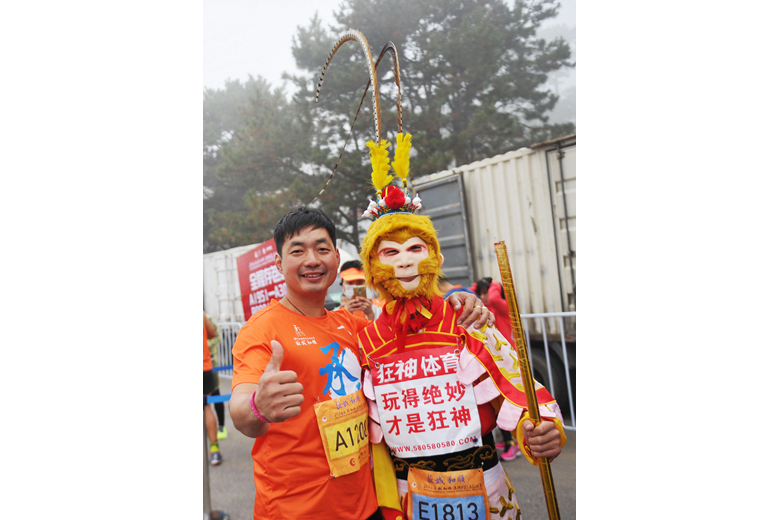 In recent years, enthusiasm for the sport of running has swept China, and marathon races have thrived. 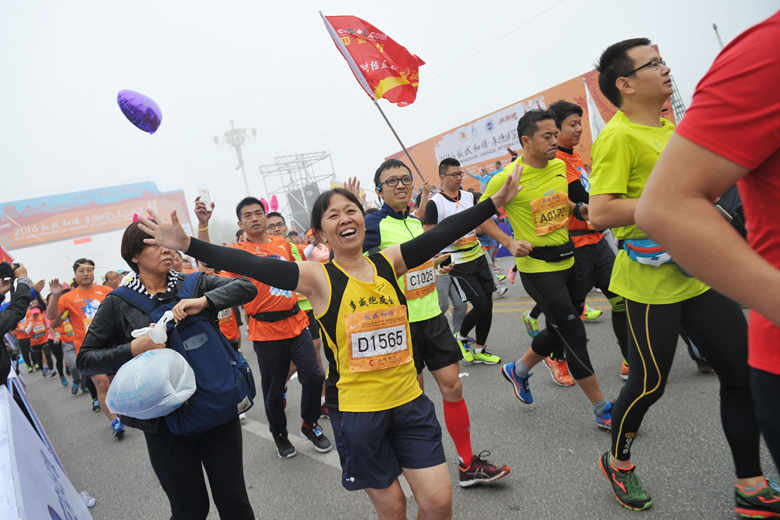 According to statistics from the Chinese Athletic Association, 22 standard marathons were staged nationwide in 2011, but by 2015, that figure had risen to 134, with 2 million people participating in marathon events that year. In 2016, more than 200 such competitions are expected to take place.